Ask for referrals: One of the best sources of new leads? Existing customers. Ask current clients for referrals to their friends and colleagues, and offer a discount or other incentive for each referral. Follow-up with clients: Put a system in place to contact your clients regularly, keeping in touch and staying top of mind. Maintain a blog: Establish a blog for your company and update it at least once a week. Use this blog to engage with leads and customers while establishing your reputation as an expert in your industry. Participate online: Get involved in online forums, websites, blogs and other places where potential customers gather to interact. Answer questions, provide resources and offer genuinely helpful information for the other participants. Include your company contact information in each message in a subtle signature line. Collect contact information: Include an opt-in form on your website and other pages that lets prospects enter their email address or other contact information in exchange for an e-book, whitepaper, newsletter or other piece of valuable content from you. Establish a business listing on major sites: Create a business listing for your company on sites such as Yahoo, Bing, Google and various social media platforms. Having a complete business listing makes your important contact information immediately available and gives your company a professional image. Maintain enthusiasm for your business: Express your pride, confidence and enthusiasm about your business whenever you talk to people online or in person. A positive attitude without an overt selling message will attract interest, attention and respect. Host a gathering: If you have a brick-and-mortar location, host a gathering, event or grand opening to attract potential leads. Circulate and interact with the people who attend your meeting. Are your lead generation techniques as effective as you would like? 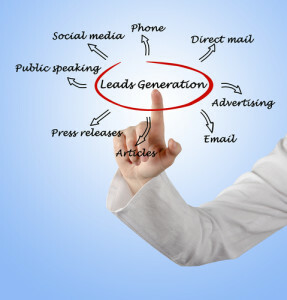 What else could you do to improve lead generation and customer acquisition for your business? Content is crucial part for any business, service or product it generates awareness, which helps in lead generation and the growth of business. Follow ups and online promotion is very essential part of every business.